Yesterday, Jolla teased "something big" and has just revealed what that is: the Jolla Tablet with Sailfish 2.0. There's just one caveat, however -- you'll have to design and fund it yourself. It's now up on Indiegogo with a $380,000 target, and Jolla has said that it's taking suggestions from users for features, with the best ideas up-voted to make the cut, Reddit-style. Those features will likely be software tweaks or other details, as all of the main specs appear to be locked down. It'll have a 7.85-inch, 2,048 x 1,536 screen, 64-bit Intel quad-core CPU, 32GB of upgradeable memory, a 5-megapixel camera and a 4,300 mAh battery. The price will start at $189. Jolla is stressing the speed and mulitasking capabilities of the tablet, saying you'll see "all your running apps conveniently in one single view." It'll work with Android on top of native Sailfish apps, and sport a minimalistic design "without any distractions" on the front. On its Indiegogo page, Jolla compares its upcoming slate (favorably) to the iPad mini 3, Nexus 9 and Nokia N1, which just launched yesterday. Ironically, Nokia's new tablet is strictly an Android affair, despite the fact that some of its greatest models (like the N9) ran on MeeGo, Sailfish's predecessor. It bears noting, however, that the models from Apple, Google and Nokia actually exist, and Jolla's specs and price seem rather optimistic. The Sailfish OS is also a dicey proposition -- our hands-on look at it on the Jolla smartphone was not a pleasant experience, despite the best of intentions. That said, the fledgeling OS has had a year to evolve since then, and Jolla admitted that it didn't nail the early user experience. If you feel like Jolla can meet its goals, the tablet is up for pre-order on Indiegogo now starting at $189, with an estimated delivery date of May 2015. The funding part doesn't seem to be a problem -- after less than an hour, it's already bagged half its goal. 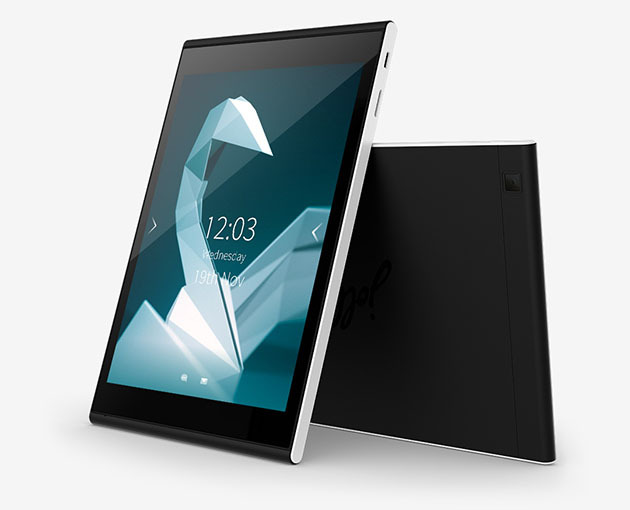 Update: Just hours into the campaign, Jolla's new tablet is already fully funded. Surpassing $380,000 in such a short space of time is certainly impressive, but although the tablet looks certain to become a reality, it's worth noting that this still only translates to less than 2,000 tablets sold.